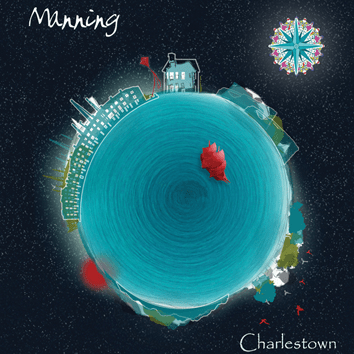 Charlestown is the new album from Manning, who have been bringing their brand of quality progressive music to our ears through eleven albums released in as many years. This episode of The European Perspective features an extended interview with Guy Manning, in which Guy talks about his back catalogue through a series of songs he’s selected himself. We then discuss the new album, as well as setting sail on the good ship Waterwitch to give the music a spin. Thanks to Guy and to John Kennard, the band’s drummer, for the chat, which was incredibly enjoyable, and I think you’ll all agree makes for a fascinating listen. Charlestown is released on F2 Records on 25th October, and can be bought directly from the band website here. The full Manning band will also be playing a launch party event at The Peel, Kingston-upon-Thames, on Saturday 23rd October which will be well worth coming along to if you can – further details of this and other upcoming Manning shows can be found here. View the full playlist for this podcast.